Earn a NESA Certificate in Coachability with this 6‑week Inquiry Cycle, anchored by a 3‑day experience at NESA's Spring Educators Conference, with pre- and post-conference online collaborative learning. Join a dynamic group of teachers, coaches and leaders to grow your ability to coach and be coached. Assess how coachable you are and examine the coaching culture within your school. Leave with a plan to advance student success in a culture of coaching. This 6-week inquiry cycle involving online and in-person professional learning begins on March 13 in an online space, followed by a three-day in-person learning experience at NESA's Spring Educators Conference. The cycle concludes with practice and feedback. The importance of these elements are not restricted to students, however. Our ability to coach and be coached in a collaborative culture of learning and inquiry provides these elements for teachers, coaches and leaders. Join a process to seek ongoing coaching input on an upcoming student learning outcome or a more extended student development focus. Engage with peers in PLCs or collegial teams or departments in a focus on teaching critique, revision, and excellence. Invite like-minded colleagues to join peer coaching exchanges. Engage in a process to increase teacher to teacher peer coaching within the school. Develop questions and ideas to facilitate a leadership exploration of the current culture and support for coaching. Lead by making a personal and public commitment to be coached. Model the rewards of being coachable. Extend practice & coaching feedback on use of identified coaching / conferencing / facilitating skills. Survey staff to identify current beliefs and practices regarding coaching for teaching excellence - beautiful teaching. Participants invited to log in to the platform. NESA Coaches Collaborative Core members facilitate. Introduce and begin to engage with one another. 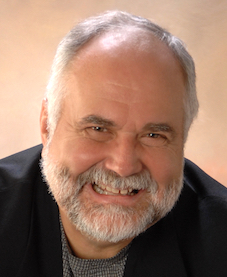 Introductory webinar or podcast with Steve Barkley. Follow-up questions, comments, concerns with Steve Barkley and the Coaches Core facilitators. Submission: KASAB reflection on the process. NESA Certificate in Coachability issued. 4-hour Workshop with Steve Barkley — "Coaching with peers, mentors, and instructional coaches"
Coaching with peers, mentors, and instructional coaches is guided by conferencing skills of questioning, paraphrasing, and feedback. This session will provide identification, modelling, and practice with these critical coaching skills. 4-hour Workshop with Steve Barkley — "Teachers’ collaboration can be extended with skillful facilitation"
These sessions will provide a questioning process that can guide teachers in PLCs, grade level and department collaborations to generate reflection and innovation focused on increased student success. Examine the difference between professional working communities and professional learning communities. This session will begin with Steve Barkley responding to implementation questions that were collected during the two previous workshop days. Then, open space technology process will be used for participants to form common interest groups for planning implementation strategies. Mr Barkley and Coaching Collaborative core members provide input and facilitation. For the past 35 years, Steve has served as an educational consultant to school districts, teacher organizations, state departments of education, and colleges and universities nationally and internationally, facilitating the changes necessary for them to reach students and successfully prepare them for the 21st century. A prolific published author, his weekly blog, Steve Barkley Ponders Out Loud, has evolved into a go-to resource for teachers and administrators all over the world.